​Book well in advance for December 2019 events. Santa has returned to the North Pole until July 2019. Dial-A-Santa is a Rotary project where our Santas donate their time and the proceeds go to children's charities through Rotary. The smiles on the faces of your children will make this Xmas the most memorable ever when the 'real' Santa arrives to distribute gifts to children and adults alike. ​Tell your friends to register their interest early! Hire a Santa easily for your Christmas Party. 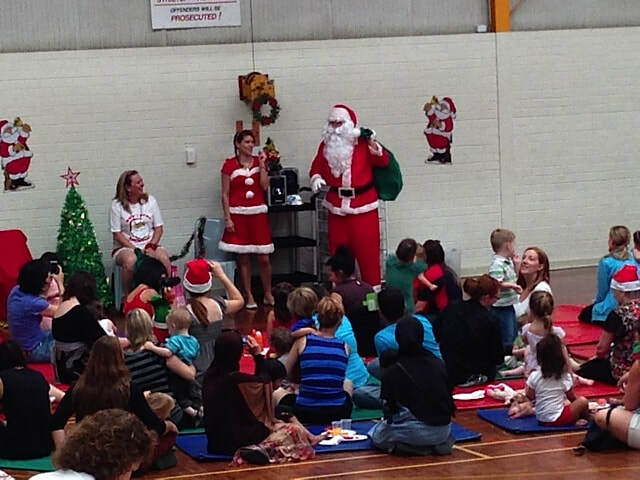 Santa loves being at kindys, playgroups, child care centres, corporate functions and being Father Christmas at family Christmas parties. Santa can send you a Working with Children certificate if you need it.